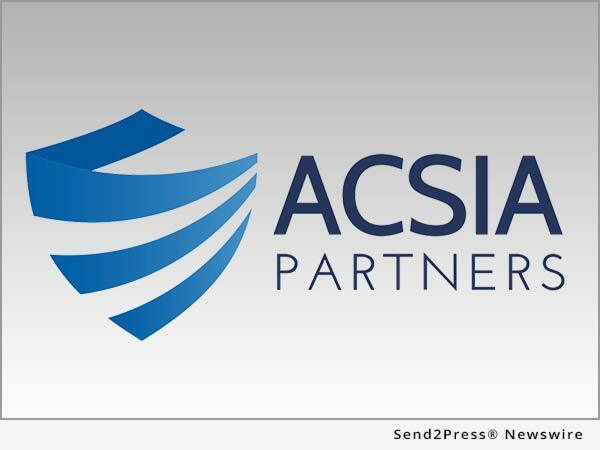 KIRKLAND, Wash., Apr 18, 2017 (SEND2PRESS NEWSWIRE) -- "America faces a senior health crisis that is also an employment crisis," says Denise Gott, CEO of ACSIA Partners, one of the nation's largest long-term care insurance agencies. In most U.S. households an out-of-the-blue "job offer" will suddenly appear. * Duties: look after an aging family member 24/7. "This can be disruptive," says Gott, "but with good planning, it needn't be." The demand for senior caregiving is huge. About 70% of those over 65 will need help with the activities of daily living at some point, according to the U.S. Department of Health and Human Services. "These activities are basic tasks we normally take for granted," says Gott. "Things like eating, moving around, bathing, and toileting." In families with two or more seniors, the odds approach 100% that at least one will need caregiving services sooner or later. That creates millions of caregiving "jobs." Most go to unpaid family members or friends, and their ranks are legion. According to the Bureau of Labor Statistics, over 40 million unpaid caregivers currently look after adults ages 65 and older. That's more than a quarter of the entire U.S. workforce. And new caregivers enter the ranks every year. "And when full-time caregiving also leads to quitting your job or reducing your work hours," says Gott, "financial stresses make matters worse." When volunteer caregiving is more limited, it can be a different story. "The extent of caregiving seems key," observes Gott. "It would appear that some caregiving is OK and even enriching." She points to a Pew Research study revealing that most caregivers found caring for an older loved one rewarding. "The right balance is vital," says Gott. "Supplying some care personally, and hiring professionals to supply the rest." * Savings, such as a tax-advantaged Health Savings Account. "Our advisors are glad to walk anyone through these options, in person or by phone," says Gott.